Mac OS X 10.7 to launch next week? OS X Leo? That'd work. After a year dominated by launches of iDevices (oh, and Antenna-gate), Apple has announced a launch event that will seemingly be devoted to Mac products. Going by the name of 'Back to the Mac', this will take place in San Francisco on Wednesday October 20. 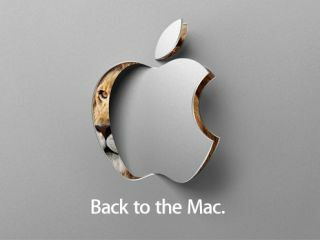 The press invite features a shot of a lion behind a turning Apple logo, fuelling speculation that Apple will announce OS X 10.7. The logical conclusion to draw is that this will be called 'Lion', though it might be called Aslan or Simba for all we know. Whatever its moniker, we wouldn't expect the new OS to be released any time soon - our guess is that we'll get a feature preview followed by a launch some time deep into 2011. Speculation is also rife that the event will see the announcements of new Mac computers - possibly a redesigned MacBook Air and revised MacBooks and iMacs. There's also the inevitable iLife '11 to consider, though our hunch is that this will have to wait until January. The guessing games will continue until 6pm on Wednesday next week, at which point all will be revealed.